The past few days has been super cloudy outside. Even though we have had some really warm weather (btw, that is gone now) it’s been overcast and blah. It makes you feel blah in some ways, so i’ts important to me to keep up the Thanksgiving spirit. To be honest we dug out the tree last weekend and started decorating for Christmas and about half way through I was like STOP! Thanksgiving is NOT here, let’s put it all away! And we left the tree up but took down all the other stuff. I am going to just stick with fall for the minute. And I am going to do the same thing here. I want to continue to inspire you to stick with the THANKFUL part of the year just a tad bit longer. Until the turkey is totally made, you are getting my Thanksgiving crafts. Now I hesitated putting this one up. I love this little poem (I have no idea the author, I have searched! It came from my son’s preschool but seems to be author unknown) and wanted to share this neat hand print craft of you to do. And, thank you Lord for creating it all! I love doing hand print and painting crafts because there really are no rules with paint and kids, my kids at-least, love getting a bit messy with me. The reason I hesitated, however, is because the lighting has been SO dark in the house that I was afraid the craft would look horrible. The camera had a hard time focusing and my kids obliged me by sitting near the front door to get some light. In any case, I hope you can see this well enough to do this craft at home. All you need is paint in fall colors like brown, yellow, red, and orange. Paint up your hands and stick on the FREE FALL PRINTABLE I have provided. Then you can decorate it, frame it, laminate it, leave it (ha! leave! ), whatever you want. 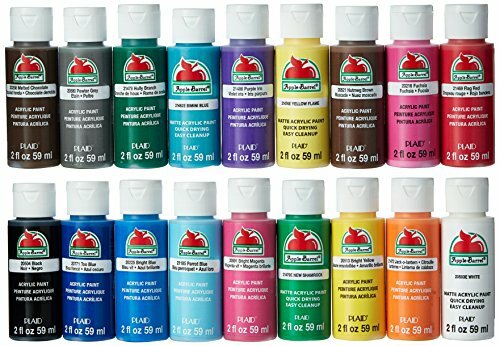 Here are the paints we use, which give us a variety of colors from this set. Click on the image below for the printable page or go here. Then paint up your hands in a mixture of fall colors! Again, I am so sorry for the blur. It was darker than it lets on and kinda blurry as a result. Sad face. But still happy face because it was FUN and later that night Phoenyx said “Mom, I love painting with you and daddy and Charlotte.” He is always validating our time together and it shows me how important it is to be with him. Again, enjoy the free download of it here and have fun! Ready for more? 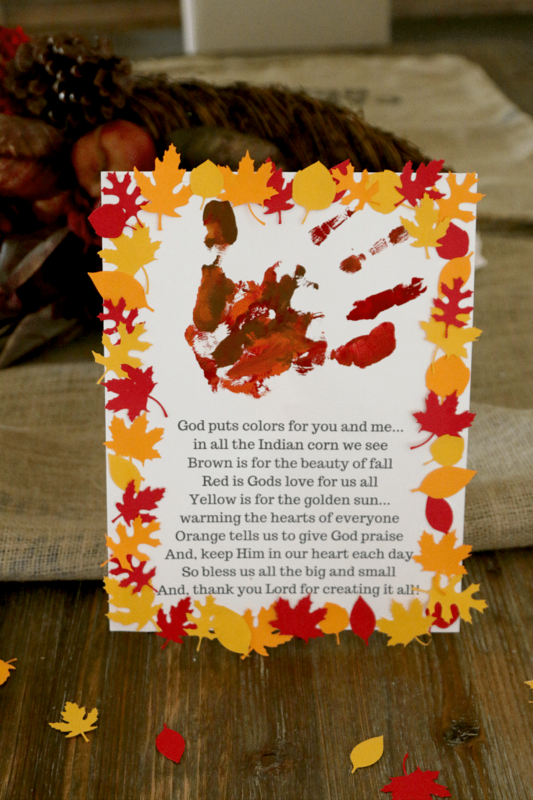 Check out some more of our Thanksgiving kids crafts here! Love this activity. Where did you get those small leaves used to decorate the border? thanks Jenni! I used my silhouette to print some out.